A motorcyclist was taken to hospital after a crash with a van in Kenilworth on Friday September 1. The biker hit the stationary white Mercedes van at around 3.15pm in Coventry Road near to Crackley Cottages. An ambulance and paramedic officer along with a helicopter from Warwickshire and Northamptonshire Air Ambulance attended. The motorcyclist, a man in his 20s, suffered a fractured arm and facial injuries and had a reduced level of consciousness. He was immobilised, given pain relief and taken by land ambulance under blue lights to University Hospital Coventry and Warwickshire. The doctor from the air ambulance was present during the journey. 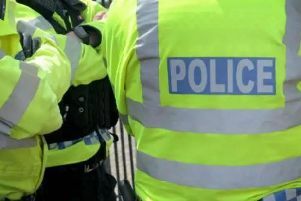 Warwickshire Police were also in attendance and closed the road for two-and-a-half hours before the road was reopened.